Inspirational music will be among the offerings at this year’s Fulton County Fair. With 10 Talents, The Step Brothers, Sojourner Quartet, The Sound, and many other talented individuals and groups scheduled to perform at the 2018 Fulton County Fair, visitors will have the opportunity to enjoy plenty of inspirational music again this year at the Eunice Tedrow Gospel Building at the fairgrounds. A highlight of this year’s performances will be The Sojourner Quartet performing on Sunday, Sept. 2, at 10:30 a.m. The Sojourner Quartet is a Christian music ministry based in Findlay, a primarily Southern Gospel Group that has completed several projects and has recorded in places like Gaither Studios, Brownwood, Hilltop Studios, Southern Sound, and Summit Studios. Sojourner has recorded with some of the greatest musicians in gospel music. and over the years several songs have seen some charting success both in the U.S. and Europe. Quartet members include Mark May-Baritone, Larry Counterman-Bass, Jeff McGlade-Lead, and Isaac Steinhour- Tenor. The Sunday concert at 5 p.m. will feature the groups 10 Talents and The Step Brothers. 10 Talents has since performed extensively throughout the Midwest. Shows have ranged from back yard acoustic appearances to direct support for Grammy nominated artists. The band wrote and recorded 10 Talents EP, released in spring 2017 and focusing on a mixture of indie, pop, honesty, hope and love. The Sound will perform Monday, Sept. 3, at 5:00 p.m. The Sound is a music ministry, with Rob Mills celebrating his 27th year of sharing the gospel in song, and now has his family involved in the ministry. The Sound has shared the platform with artists like The Booth Brothers, Ernie Haase and Signature Sound, Jeff and Sherry and Easter, among others. Mills has also written songs for top gospel artists like Gold City, Mercys Mark, Doyle Lawson and Quicksilver, and Mark Trammel Quartet. To view the complete list of performers scheduled for the 2018 fair visit the organization’s website at www.fccmm.org. Churches providing support for 2018 include Faith Bible Baptist Church, First Baptist Church in Wauseon, Lyons Christian Church, New Beginnings Ministry of Fayette, Our Lady of Mercy Catholic Church, Pettisville Missionary Church, Solid Rock Community Church, St. Peter Catholic Church, Swanton Baptist Church, Tedrow United Methodist Church. and Zion United Methodist Church. The Fulton County Fairgrounds are located at 8514 State Route 108, Wauseon. For more information and a complete schedule of 2018 performers visit the Fulton County Music Ministries website at www.fccmm.org. 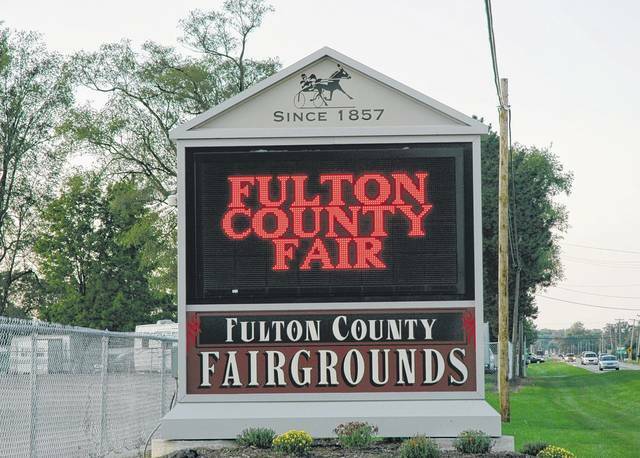 https://www.swantonenterprise.com/wp-content/uploads/sites/23/2018/08/web1_Fair-Sign.jpgInspirational music will be among the offerings at this year’s Fulton County Fair.